Rachael is an orphan who cares for two younger orphans. She will buy vegetables, nuts, and pineapples for resale. 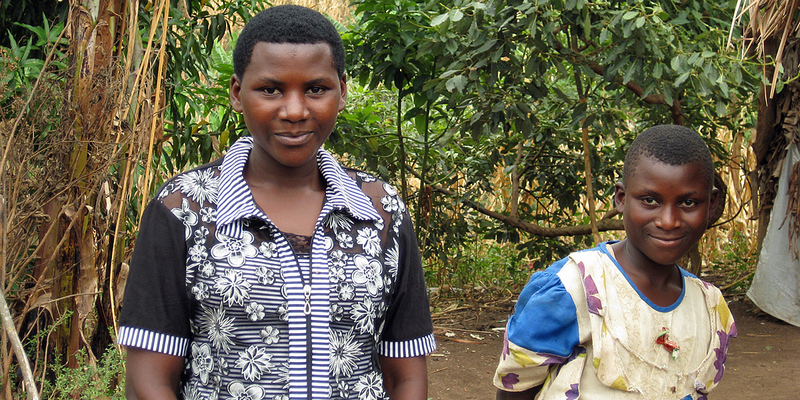 When she earns a profit, she plans to buy a goat and continue saving for the repayment of loan. 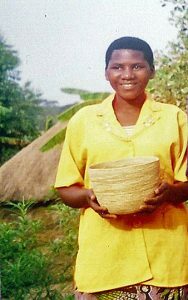 She is holding a basket she made for re-sale. Update: Rachael repaid her first loan and received a 2nd loan.